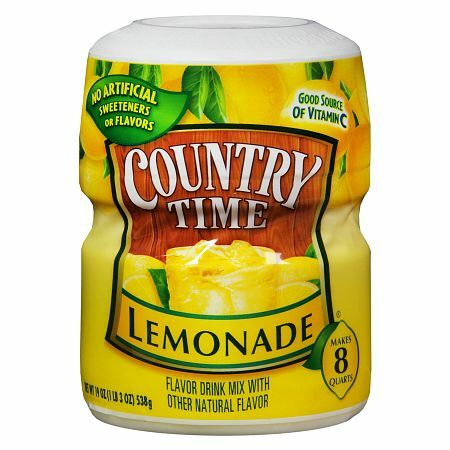 Enjoy the great taste of summertime with the good old fashioned refreshment of this product. Cool and refreshing - not too tart and not too sweet. So go ahead and take time for summer's simple pleasures, mix up a pitcher and enjoy. Since contents may settle during shipping, turn canister over and shake before using. Measure mix into cap just to line, or use tablespoonful of mix for single serving. Add more or less to taste. Pour into drinking glass, or plastic or glass pitcher. Add cold water and ice; stir to dissolve. Do not store in metal container. Store prepared beverage, covered, in refrigerator.